Making more than $65K right out of college isn’t a bad deal, mainly because it means you don’t have to resort to your parents’ couch. According to a new report from PayScale, some of the top universities where grads in the civilian workforce can get the most for their bachelor’s is at a military university. And the Air Force Academy makes the top 10. If you’re an Academy grad, chances are, you’ve landed a job that pays on average $66,700 as a starting salary, the study said. But pump the brakes: after ten or more years, you probably won’t be doubling your original salary as quickly because the salary growth slows down. The remaining academies fare a little better: the Naval Academy’s bachelor’s degrees top the chart, producing grads who earn $80,700 as a starting salary. Naval Academy alumni — who could have moved on to earning additional degrees — in civilian careers are also the highest-earning graduates in the first five years of their career, the study said. West Point comes in third for starting salaries with $75,100 earned from a bachelor’s. It drops to eighth place for mid-career salaries. 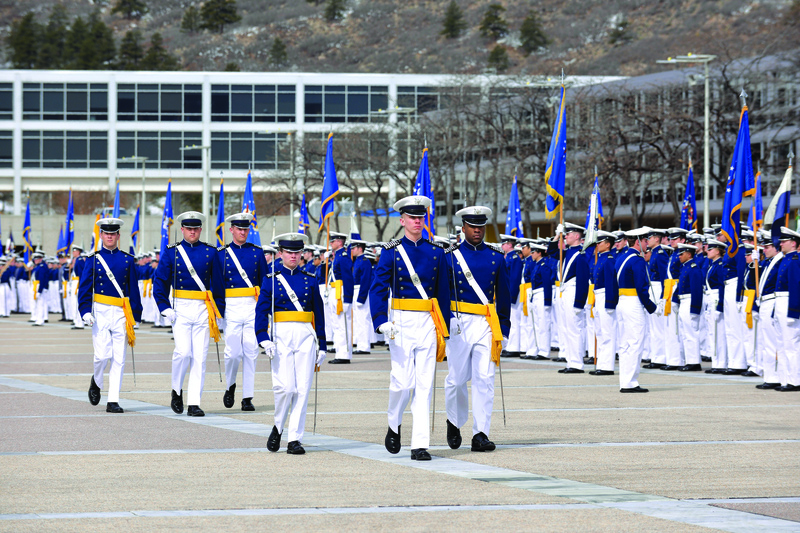 Forty-eight percent of earned USAFA bachelor’s degrees and above are STEM, or science, technology, engineering, and mathematics, degrees; The Naval Academy churns out more STEM grads, but West Point only produces 39 percent. PayScale collected salary data from nearly 1.5 million employees with degrees from over 1,000 different colleges. Check out how the military schools place among liberal art schools, research universities, and some of those party schools, too, by clicking here.